LEGO for Education addresses topics that appeal to children within the age group 5- 10 yrs. Examples of subjects are for instance space travel, architecture, transport, harbour, rescue services and many more. 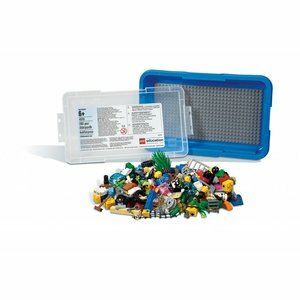 LEGO for Education has special LEGO theme sets, supplied with full-colour activity cards that present the children ideas and building proposals to investigate specific subjects in further detail. Perfect for primary schools and after-school institutions. 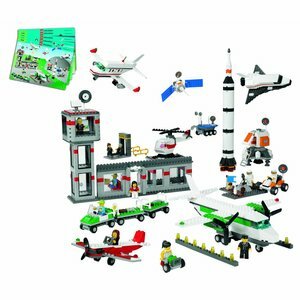 With this LEGO 9335 Space and airport set, children can investigate topics such as travel, air traffic control, space, aliens and communicating with others. 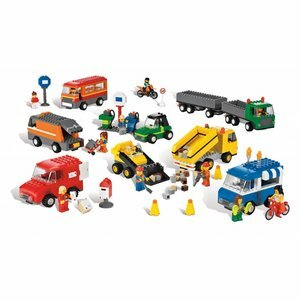 An exciting LEGO 9333 vehicles set for exploring a variety of vehicles, their functions and how they help keep the community on the move. LEGO Build to Express core set 45110 from LEGO Education. This build to express kit offers children the ability to expore how the world exactly works. 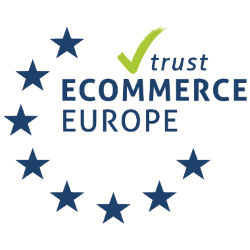 Buy this play box easily online.